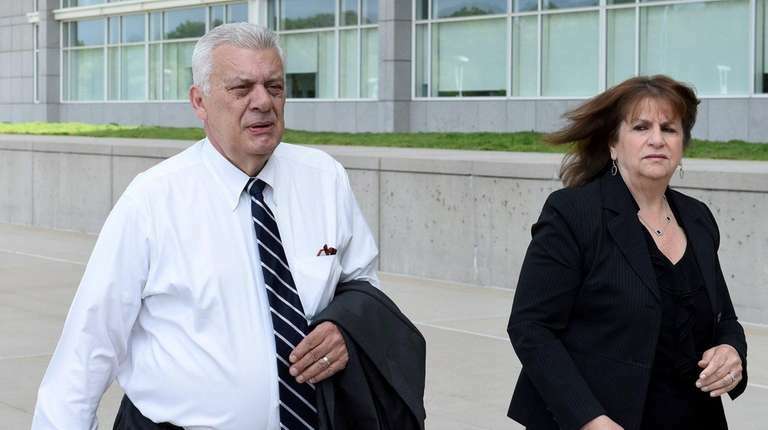 No verdict was reached Tuesday and jurors were set to return Wednesday to Central Islip to begin their fourth day of deliberations in the 11-week-old federal corruption trial. This story was reported by Nicole Fuller, Robert E. Kessler, Chau Lam, Bridget Murphy, Emily Ngo and Andrew Smith. It was written by Ngo. Jurors considering corruption charges against former Nassau County Executive Edward Mangano and former Oyster Bay Town Supervisor John Venditto on Tuesday sought guidance from the judge, saying for the second time in as many days that they couldn’t reach a consensus on some aspects of the case. Prosecutors say Mangano and Venditto used their public offices to boost the businesses of restaurateur Harendra Singh in exchange for an illegal stream of benefits. 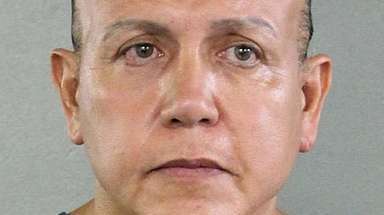 The judge additionally said they shouldn’t hesitate to change their mind if they found a different viewpoint to be correct and reminded them of the government’s burden of proof. The jury on Monday and Tuesday had asked to review the testimony of a total of six witnesses who on the stand had detailed the events surrounding the county’s awarding of two lucrative contracts to Singh, a longtime Mangano friend. One was a bread-and-rolls contract for the county jail that a Singh bakery won by default in 2012 after, according to testimony, Mangano’s chief deputy Rob Walker intervened. The bakery run by Singh’s wife, Ruby, ultimately abandoned the contract, saying it didn’t have the capacity to fulfill the requirements. The other contract was an emergency, no-bid agreement to cater meals for workers and officials at the Office of Emergency Management who were toiling around the clock in the wake of superstorm Sandy. The contract had been set to go to a competing vendor, according to testimony. Jurors sent a note Tuesday morning requesting written copies of the testimony by Butch Yamali and Chris Seidl, both of the Freeport-based Dover Group, who had said they believed they were set to receive the OEM contract. 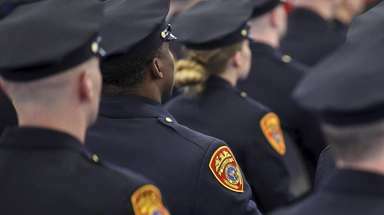 Mangano’s defense attorney, Kevin Keating of Garden City, has argued that the OEM contract was initiated by Health Commissioner Larry Eisenstein and negotiated with the late OEM Commissioner Craig Craft, and his aide Raquel Wolf, a former Singh employee, and that the push to award the bread-and-rolls contract came from the late presiding officer of the legislature, Peter Schmitt. Prosecutors say Mangano, Venditto and Singh were entrenched in a “this-for-that” relationship. Prosecutors say the officials accepted bribes from Singh in the form of free meals, free vacations for Mangano and a no-show job for his wife and free limo rides for Venditto and helped the then-restaurant mogul to secure the county contracts and more than $20 million in town-guaranteed loans. Mangano, 56, of Bethpage, and Venditto, 68, of North Massapequa, face several criminal charges that include federal program bribery and honest-services wire fraud, extortion for Mangano and securities fraud for Venditto. Mangano’s wife, Linda, 54, of Bethpage, is charged with conspiracy to obstruct justice, obstruction of justice and making false statements to the FBI — all in relation to what prosecutors say was a no-show job Singh gave her paying $450,000. The Manganos and Venditto have pleaded not guilty. 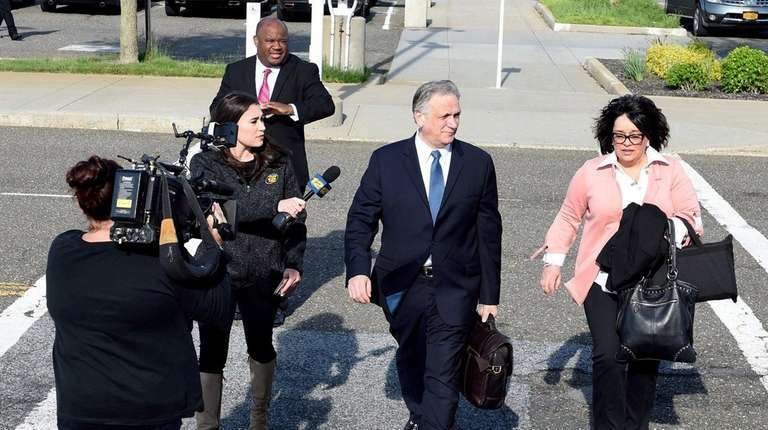 Who’s who in the trialKey figures in the ongoing political corruption trial of former Nassau County Executive Edward Mangano, his wife, Linda, and former Town of Oyster Bay Supervisor John Venditto. Defense attorneys attack Singh’s credibility at trialRestaurateur Harendra Singh would have gotten "zero" from Nassau County during Edward Mangano's tenure as county executive if superstorm Sandy had not struck, Mangano's defense attorney said. Feds: Mangano, Venditto ‘traded their office’ for moneyFormer Nassau County Executive Edward Mangano and former Oyster Bay Town Supervisor John Venditto "traded their office for money, plain and simple," a federal prosecutor stated in closing arguments. 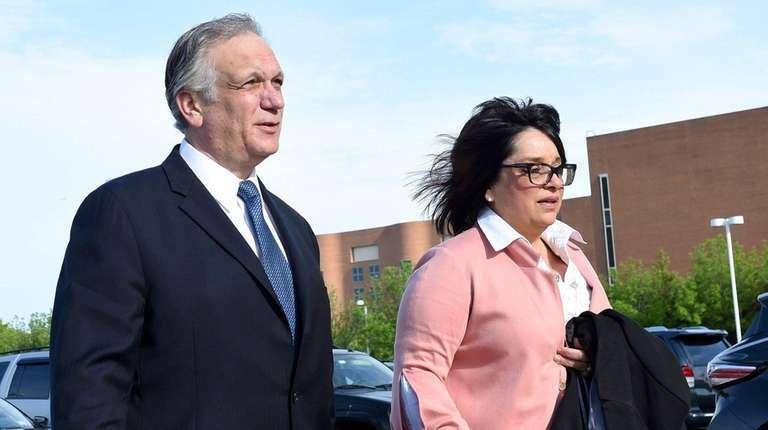 Judge refuses to dismiss Mangano-Venditto charges"There's more than sufficient evidence for this case to go to the jury on all counts," U.S. District Judge Joan M. Azrack said of the indictment against Edward Mangano and John Venditto.